Perry Gerakines leads us on a Voyage of Discovery taking questions from the Collective on our Solar System and beyond! using this list www.npr.org/2011/08/11/139085843/your-picks-top-100-science-fiction-fantasy-books After a little audio breakup halt called at 71 on list (starting from 100) To be continued next week. Ian, Mike and Dave Scrub in on the final Commentary: Life on Mars Series 2 Episode 8 (UK Series) Pub? Pub! 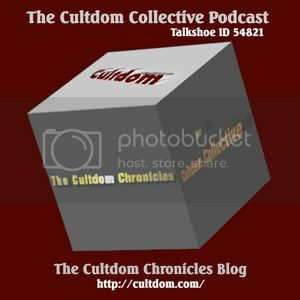 Cultdom Episode 142  My Top 5 SciFi or Fantasy..
in SciFi, Fantasy & Horror. But first we chat about new Doctor Who Companion casting of Jenna-Louise Coleman. Also please checkout our recent Studio Episode: Whos Knocking on the TARDIS Door? Cultdom Episode 146  Mutations!